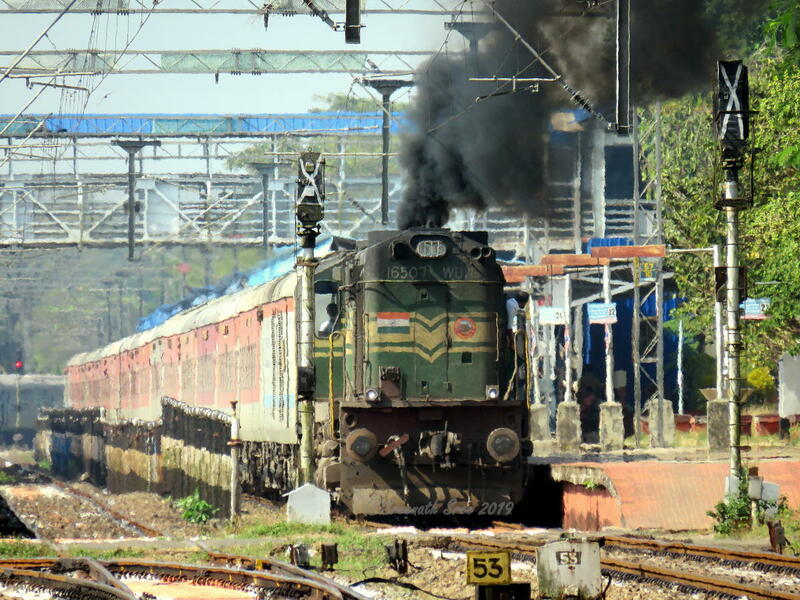 TVC Rajdhani Express in daytime at Alappuzha.. Single Alco and TVC Rajdhani .. .
13 hours late Running Diverted 12432 H.NZM-TVC Trivandrum Rajdhani Express Via Bhopal due to Gujjar Agitation in Rajasthan heavily erupting and Departing ALLP behind GOC Alco after its scheduled halt.